Just recently, and I’m talking no more than a week here, I have gotten the itch to play video games again. This come and goes, usually in concert with the release of a game that appeals to me. The Zelda franchise has always been one of my favorites, and I tend to go out of my way to play whatever Zelda game I can get my hands on. I’ve gotten lax, as of late, on the mobile versions, but I still like to play through the console versions. Call me a curmudgeon, but I find them to be a more “pure” Zelda experience. With the impending launch of The Legend of Zelda: Skyward Sword, I’ve found myself looking at the Wii again. Honestly, I’m looking at it for the first time since … The Legend of Zelda: Twilight Princess. That’s five years between releases (November 19, 2006 to November 20, 2011), and almost five years since I was thinking that much about the Wii. Not a great track record, but in my heart, I’m still a Nintendo fanboy and when Zelda beckons, I heed the call. So I’m writing up just this little piece about a look back at the Wii as its time come to a close and we wait for the Wii U to come and usher in HD gaming from Nintendo. Launched on November 19, 2006, the Nintendo Wii was the replacement for Nintendo’s prior, cube-shaped console, the Gamecube. Compared to the other next-generation consoles at the time, the Wii was going to be woefully underpowered but it did come with one awesome feature (besides the strange name): motion controls! The Wii Remote is an interesting looking controller, but it provided the defining difference between the Wii and its competitors the Xbox 360 and the Playstation 3. 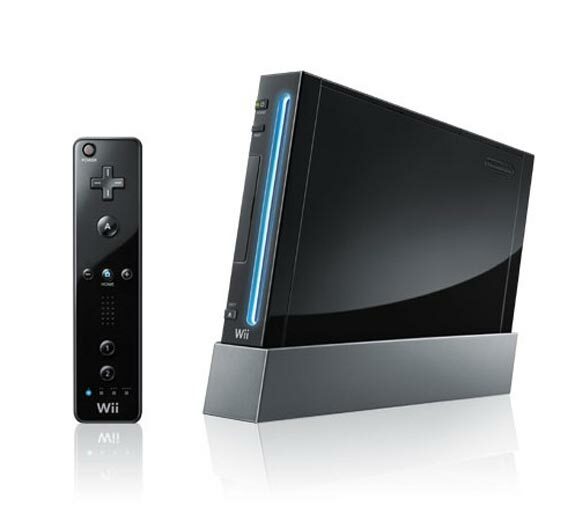 Both consoles depended upon more traditional controllers while the Wii moved ahead in a different direction which the other two would later implement as well. So, taking a look back, I’ll look at the Good and the Bad of the Nintendo Wii … five years later. Price: Launching at $250, the Wii was at least $50 less than its nearest next-gen competitor, the Xbox 360. Psychologically, that made a difference to consumers. The price also reflected that the console was cheaper to make, thus allowing Nintendo to realize profits from its hardware LONG before either Microsoft or Sony. Motion Control: Since both of Nintendo’s competitors now have motion control system attached to their respective consoles, I think Nintendo can say they got it right this time. While a lot of the software never fully realized the potential of motion control, they did usher in motion control as something the general populace could use and enjoy. Hardware Design: I’m speaking mostly of how the Wii doesn’t sound like a 747 taking off when you are playing a game. It is also the smallest console available (still) and just looks good too. Considering how loud and large both the Xbox 360 and Playstation 3 were, Nintendo at least used their underpowered hardware to an advantage in this case. Nintendo Titles: As is the case in every generation of console hardware, Nintendo always has this up their sleeve: only their hardware runs their games. That means no Zelda, no Mario, no Metroid … on anything else. In an age where it is common to find ports to every other console, it was another differentiator. It also helps that Nintendo still makes the best games. I’ll have another post on current gaming trends in the future. Underpowered Hardware: You didn’t have to be a computer science major to understand that the Wii was a advanced Gamecube. The hardware could only output 480p, so the images on larger HD screens could look really poor. Couple that with the fact that HDTVs have now become affordable and is something everyone is looking for and you have a problem. Really Poor 3rd Party Games: There were a lot of games, compared to the Gamecube, but many of them were very bad. There was also an almost complete lack of AAA 3rd party titles for the platform as well. Couple that with some atrocious control schemes tacked onto titles and the software landscape was pretty grim. Much of this happened because you could not just port your game over to the system because of the unique control scheme and underpowered hardware. Just sad. MotionPlus Too Late: It is too bad that the MotionPlus was launched launched in 2009 because the added sensitivity of the motion control would finally allow a more immersive experience that was the whole idea behind the original Wii Remote back in 2006. The vision of wielding the Master Sword wasn’t able to come true until late 2011 (well, it remains to be seen … hopefully more on that later). Lack of Online Multiplayer: Microsoft is the unrivaled king here, but the lack of a true online multiplayer community for Nintendo’s fans to connect together and compete really hurt the console. Nintendo has always been the best at creating amazing games, but their expertise has not transferred to the online realm in a meaningful way. The Wii will be seen as a success for Nintendo, but it had massive flaws that held it back. Could Nintendo have accomplished everything while still making a process at $250? No, not possible. Sony and Microsoft showed that, but Nintendo still did what they did best … create a home console which allows them to make amazing games. Let’s hope that the Wii U continues that tradition.